WestonWeb.ca – Page 448 – News is what somebody somewhere wants to suppress; all the rest is advertising. Two Weston community groups failed to get grants at the last City Council meeting. The grants would have run programs to slow the spread of AIDS and HIV among immigrants and addicts. Both applications were rejected by Council on the advice of the Board of Health. Northwood Neighbourhood Centre applied for a grant of $29,ooo to provide HIV/AIDS awareness to newcomer parents. This application was rejected. The blow was likely worsened by the rejection of its other application for $31,000 to run a drug prevention program. It too was turned down. The Weston King Neighbourhood Centre applied for a $83,000 grant to run a HIV/AIDS Harm Reduction Project. That grant was also denied. Tn all, the city approved 41 of the 52 applications it received for AIDS/HIV projects. In total, it granted $1,574,960. While more than 80% of the projects received city money, none of the projects from Ward 11 did. Alan Tonks draws three handsome pensions from various levels of the civil service, according to the Canadian Press. Each of the pensions is more than $10,000 annually and in addition to his $157,731 annual salary as an MP. Tonks appears to be triple-dipping, but the appearance is incorrect. Kevin Gaudet of the Canadian Taxpayers Federation says he doesn’t have a problem with MPs collecting pensions from private companies but is troubled by MPs also getting pension cheques from governments. Mr. Gaudet said more MPs should follow mr. [sic] Maloway’s example and voluntarily forgo other government pensions while they sit in the Commons. While I, your humble editor, have never been unduly kind to Tonks, Thompson’s article is unfair. There is no good principle that would require MPs to forgo public pensions. Those pensions were voluntarily agreed to by employer and employee. Nobody objects to private pensions or to personal wealth among MPs; public pensions are no different: they are a part of the total compensation given to public servants. Asking MPs to return their public pensions is asking for a double standard. It is saying that those in the public sector deserve a lower real salary than those in the private sector. Demanding the money’s return is also unfair. It is asking for money made fairly to be repaid. It is, in short, asking former public servants (and only public servants) to pay for the privilege of serving in the House. While a $160,000 salary seems to me quite generous, Tonks should not be singled out merely because he has worked in the public sector for decades. Even though it was a scorching day, dozens of people lined up for burgers at the Weston King Neighbourhood Centre community barbecue in Little Memorial Park on Saturday. Many community groups were out to raise consciousness about the work they are doing in Weston. WKNC, Frontlines, the Hispanic Centre, the Active Living Centre, and others displayed their work in booths set up around the park. With thanks to M. Lennon for reporting. 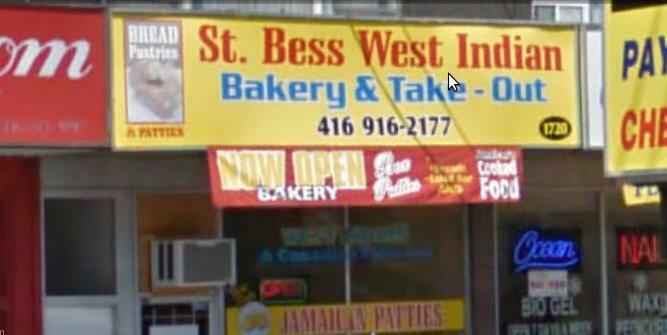 City inspectors gave St Bess Bakery & Take-Out a conditional pass this week. The bakery, which had never received a warning before, was given a yellow card for failing to remove solid waste and for failing to sanitize garbage cans. Toronto Police are looking for a woman from the Weston Area. 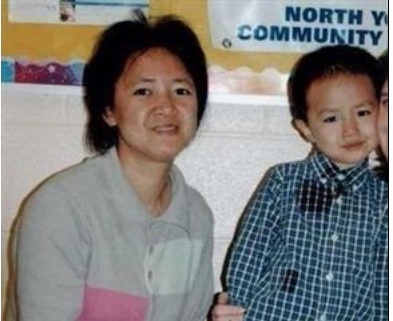 Le Ping He and her son Brandon Wong have not been seen since last Friday. Le Ping He is 41 years old, 5 feet (152 cm) tall and has straight, black, shoulder-length hair. She was last seen wearing a short-sleeved dress. Brandon Wong is 8 years old, 3’6″ (99 cm) tall, with a thin build, black eyes, and short black hair in a brush cut. He was last seen wearing a green and white T-shirt and blue shorts. It is not clear from the news release where Ms. He lives; she is known to visit the Falstaff Ave and Jane St area. She was last seen around Caledonia Rd and Lawrence W.
They may be riding a red men’s bicycle with a rack on the back. “Police do not suspect foul play is involved”, according to CTV news.